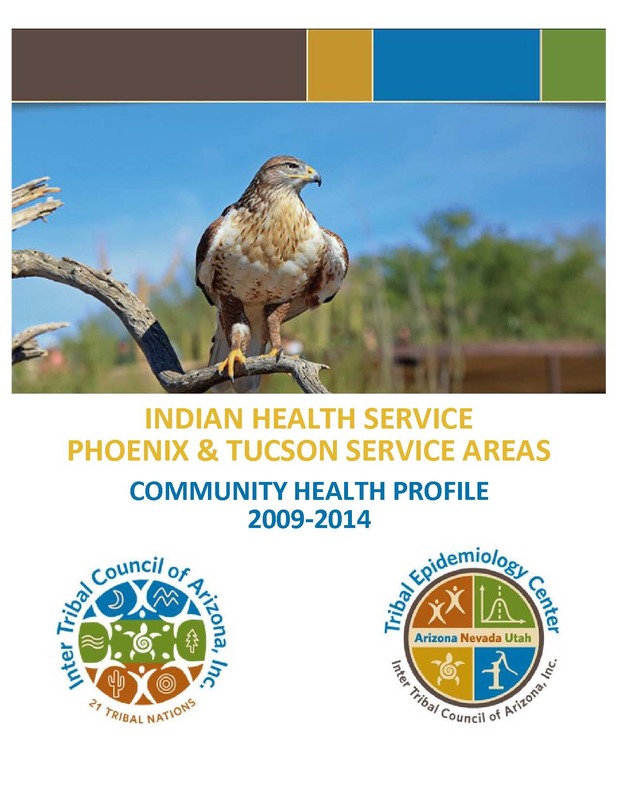 The purpose of the Regional Community Health Profile is to summarize key health indicators for American Indian and Alaska Native populations in the Indian Health Service (IHS) Phoenix and Tucson Service Areas. Data in this report may be used to describe the health and wellness of AI/AN communities, supplement Tribal efforts, and provide data that may help to target the health interventions most urgently needed. Health indicators were developed from Indian Health Service Epi Data Mart, and Arizona, Nevada, and Utah’s state Hospital Discharge Databases. Population statistics for denominators and demographic indicators were obtained via the United States Census Bureau’s American Community Survey. Other sources of data included the Centers for Disease Control and Prevention, and the Arizona, Nevada, and Utah Bureaus of Vital Statistics. The infectious Disease report was prepared in response to infectious disease concerns expressed by Tribal communities served by the Phoenix and Tucson Indian Health Service Areas. This report demonstrates the current trends in infectious disease incidence using data collected from state notifiable disease surveillance systems. 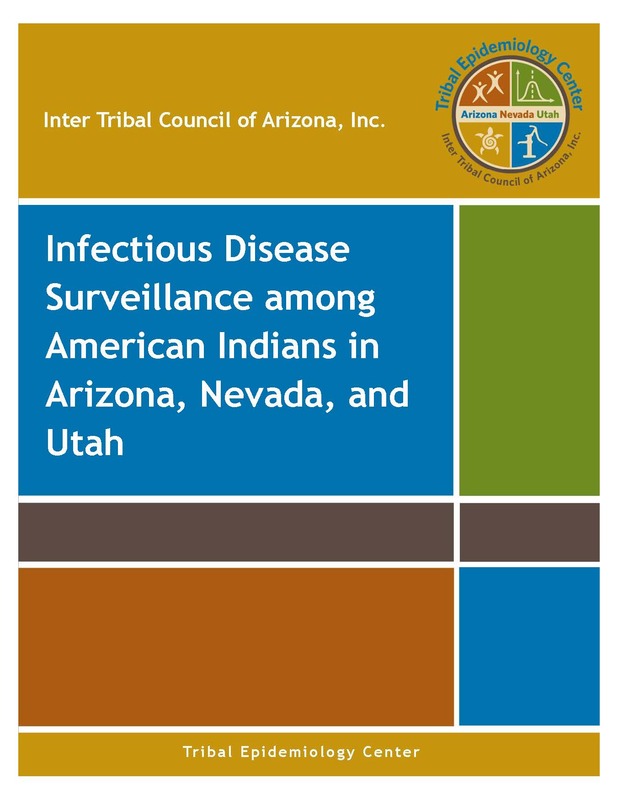 The surveillance report highlights the incidence of infectious disease among the American Indian population in Arizona, Nevada, and Utah. The purpose of the Sexually Transmitted Disease (STD), Human Immunodeficiency Virus (HIV) and Tuberculosis (TB) Surveillance among American Indians in Arizona, Nevada, and Utah is to address disparities that are present in the Phoenix and Tucson Indian Health Service Areas. 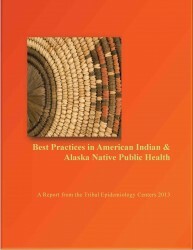 This report focuses on STD, HIV, and TB among American Indians/Alaska Natives (AI/AN). This report demonstrates the current trends in incidence rates of STD, HIV, and TB detection rates using data requested from state notifiable disease surveillance systems. 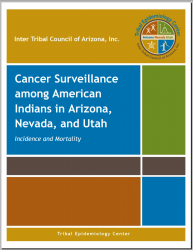 The goal of this report is to address cancer disparities among American Indians in the Phoenix and Tucson Service Areas. Please note that the data is the most recent publicly available data from the three main national data sources: National Cancer Institute Surveillance Epidemiology and End Results (SEER), the Centers for Disease Control and Prevention National Program for Cancer Registries (NPCR), and the American College of Surgeons National Cancer Data Base (NCDB). Description: This report represents a collaborative effort of the Tribal Epidemiology Centers (TECs) and is the first such report. We work together for the betterment of the health of American Indian and Alaska Native people living in a variety of settings in the United States. This book highlights some of the major projects TECs are working on with tribes. 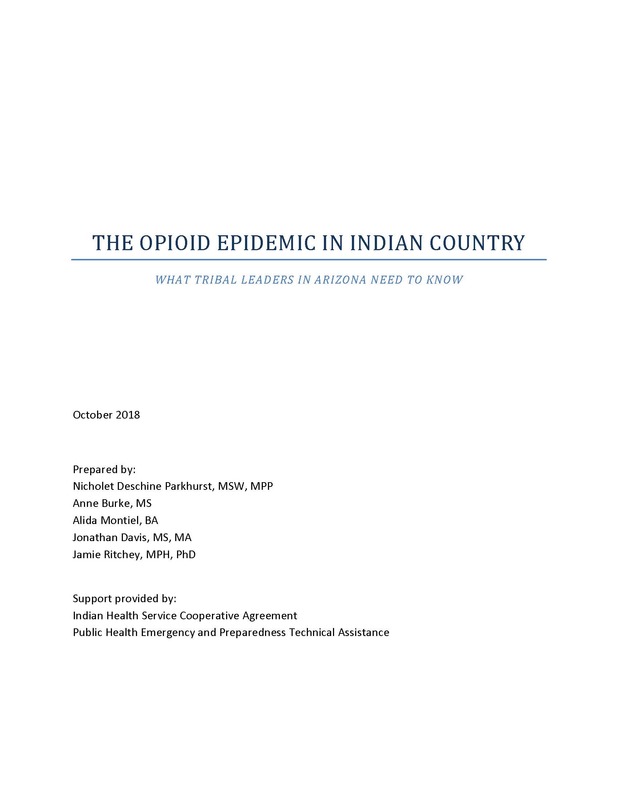 Description:The Inter Tribal Council of Arizona, Inc. Tribal Epidemiology Center (ITCA TEC) is pleased to present the report: The Opioid Epidemic in Indian Country, What Tribal Leaders in Arizona Need To Know. This report was prepared in response to Tribal leadership prioritizing behavioral health and substance abuse, including opioids, as a top concern in the Indian Health Service Phoenix and Tucson Service Areas. The purpose of the report is to provide needed information for the Tribes we provide epidemiologic services. 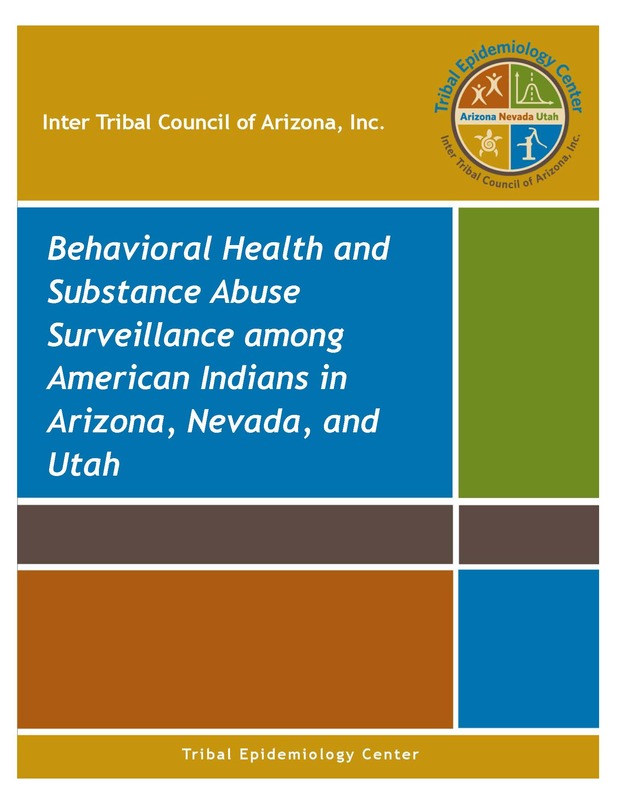 Description:The purpose of the Behavioral Health and Substance Abuse Surveillance among American Indians in Arizona, Nevada, and Utah report is to provide information to the tribes we serve. This report focuses on indicators of behavioral health and substance abuse in American Indian and Alaska Native communities. This surveillance report demonstrates current trends in behavioral health and substance abuse using data requested from state surveillance systems and national surveys, including hospital discharge, vital statistics, Behavioral Risk Factor Surveillance System (BRFSS), and Youth Risk Behavior Surveillance (YRBSS) data. 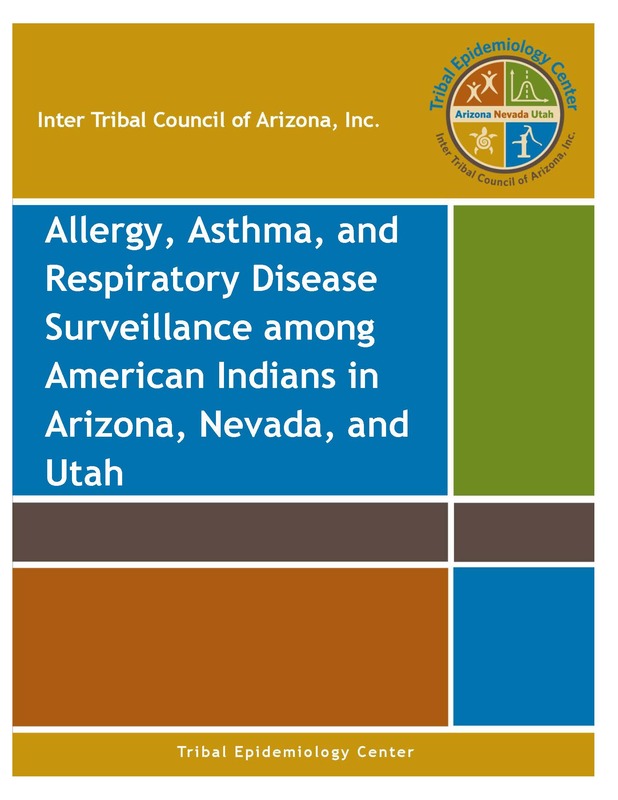 Description:The Allergy, Asthma, and Respiratory Disease Surveillance report was prepared in response to respiratory health concerns among Tribal communities within the Phoenix and Tucson Indian Health Service Areas. This report demonstrates current trends in respiratory health among American Indians and Alaska Natives in Arizona, Nevada, and Utah, and uses data from state hospital discharge data, Indian Health Service, The Behavioral Risk Factor Surveillance System, Arizona Department of Health Services Bureau of Epidemiology and Disease Control, Nevada Division of Public Health and Behavioral Health, and Utah Department of Health, Bureau of Epidemiology. 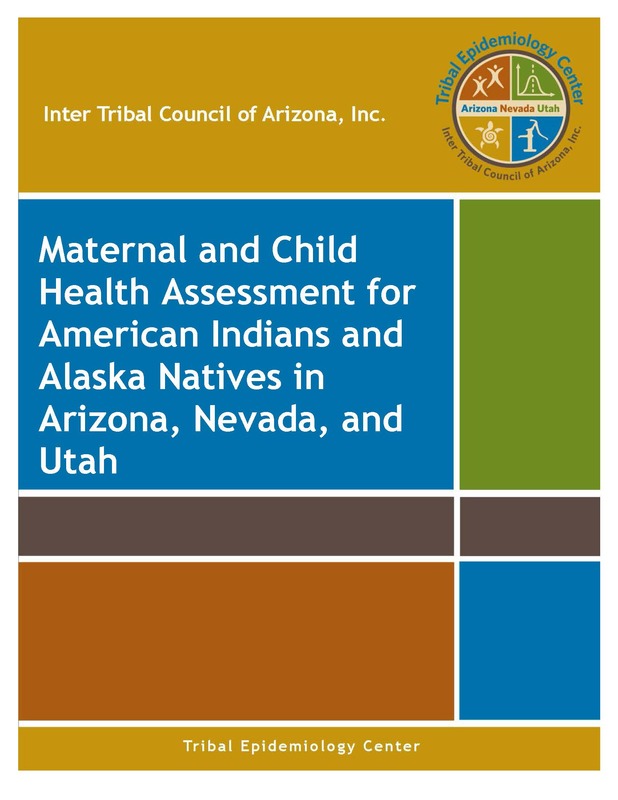 Description:The purpose of the Maternal and Child Health Assessment for American Indians and Alaska Natives in Arizona, Nevada, and Utah report is to provide information to the tribes the Inter Tribal Council of Arizona, Inc. (ITCA) serve in the Phoenix and Tucson Indian Health Service (IHS) areas. 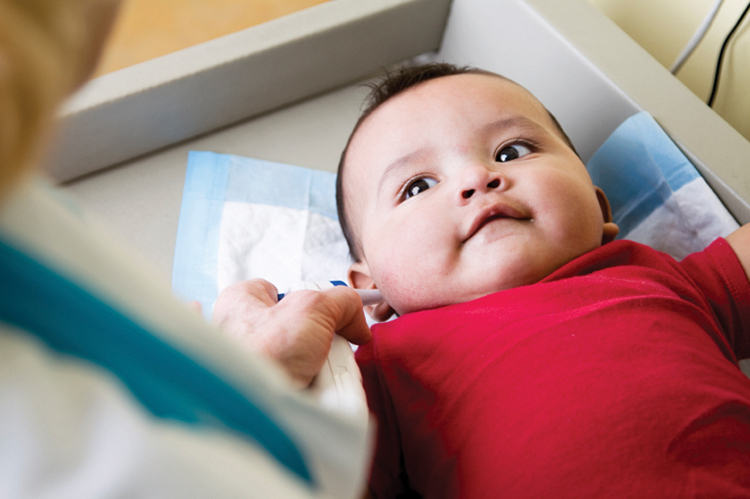 This report focuses on indicators of maternal and child health in American Indian and Alaska Native communities with data from 2013-2017. This surveillance report demonstrates current trends in maternal and child health using data requested from state surveillance systems, including ITCA Special Supplemental Nutrition Program for Women, Infants, and Children (WIC), inpatient hospital discharge, and vital statistics data. 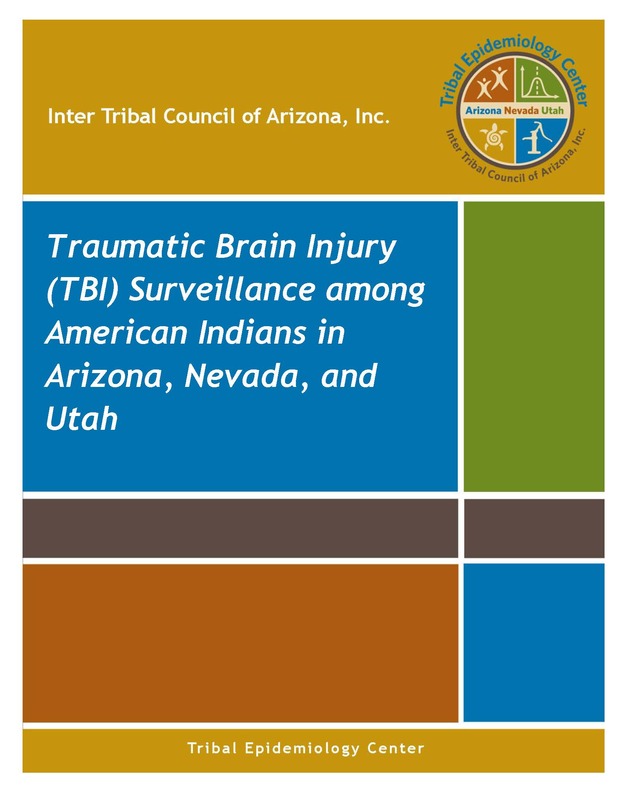 Description:The purpose of the Traumatic Brain Injury (TBI) Surveillance among American Indians in Arizona, Nevada, and Utah report is to provide information on about TBI and associated factors to the tribes we serve. This report focuses on indicators of TBI in American Indian and Alaska Native communities. This surveillance report demonstrates current trends in TBI indicators among AI/AN in Arizona, Nevada, and Utah using data from existing surveillance systems, including hospitalization and emergency department data. 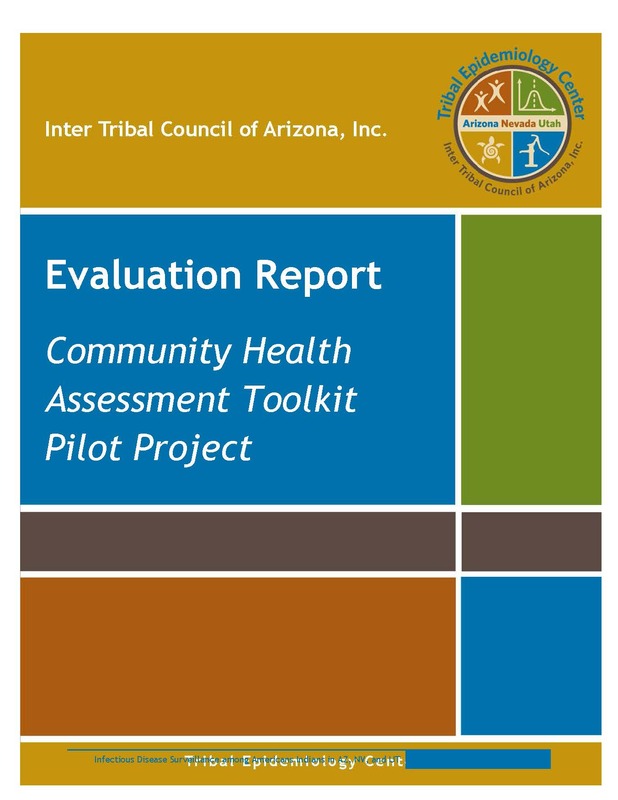 Description:This two-page report describes the Inter Tribal Council of Arizona (ITCA) Tribal Epidemiology Center (TEC)’s evaluation of the Tribal Community Health Assessment (CHA) Toolkit Pilot Project. 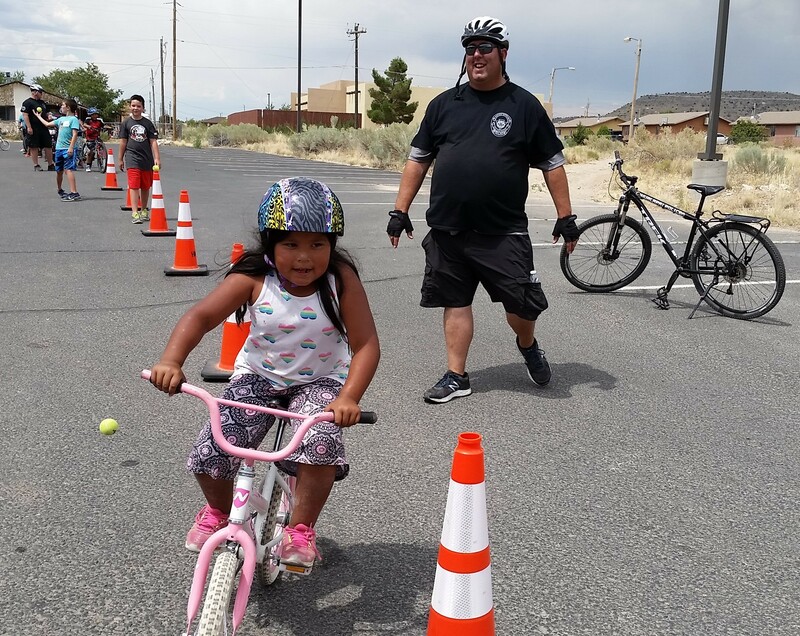 The ITCA TEC was tasked with constructing and piloting a CHA Toolkit, which was to be implemented by three Tribes in the Phoenix and Tucson Indian Health Service Areas. The three participating Tribes then evaluated the CHA assessment by completing three “success stories” related to their use of the CHA Toolkit and completing five short questionnaires. While “success stories” were noted, the evaluation of the Toolkit resulted in the provision of feedback regarding this Pilot Project, including suggestions for revisions that may be utilized to make the Tribal CHA Toolkit for use by our member Tribes.